Traditionally, asian families have been eating Hot Pot together for years, especially when it is cold outside. 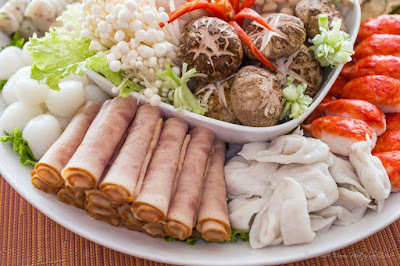 It is also more popularly known among the Chinese as Steamboat, where a metal pot simmering with stock features prominently, and is always surrounded by platters of fresh foods, like jealous lovers vying for the love of a girl. But here at Resort Seafood Steamboat, there is plenty for everybody and with an amazing class of appeal! 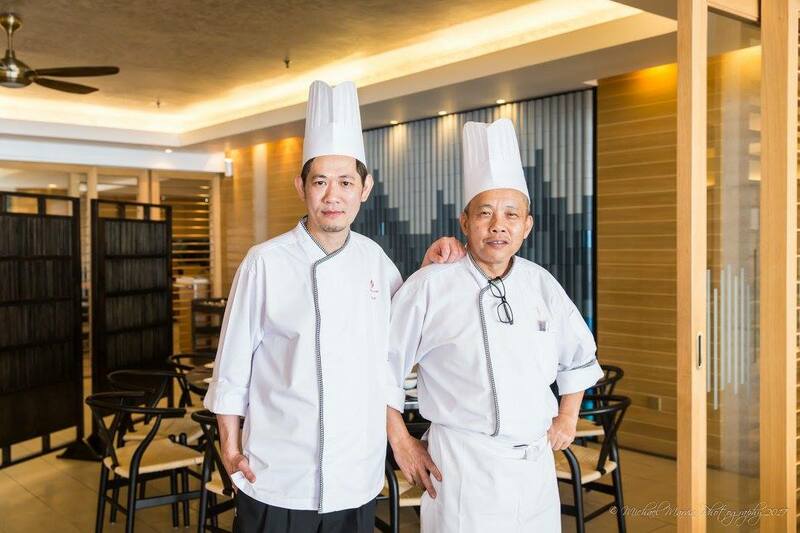 We were hosted by modest Chef Lai (left) and Head Chef Tan Hang (right) during the course of the lunch. 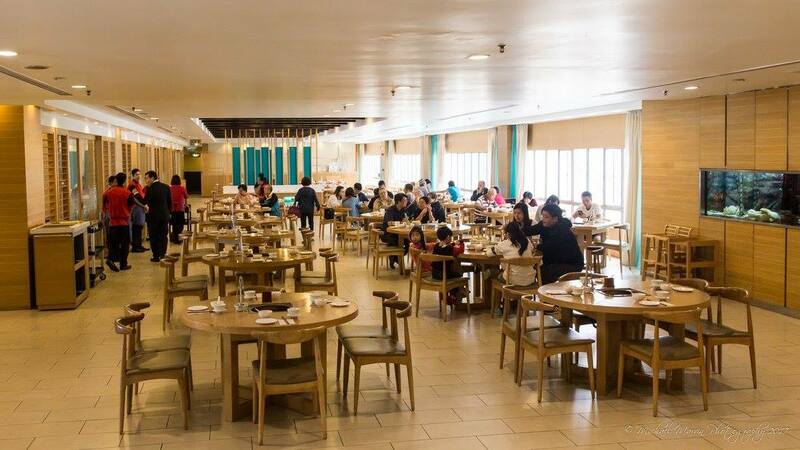 The restaurant itself is quite large and spacious, with many tables to accommodate small to large groups of patrons. 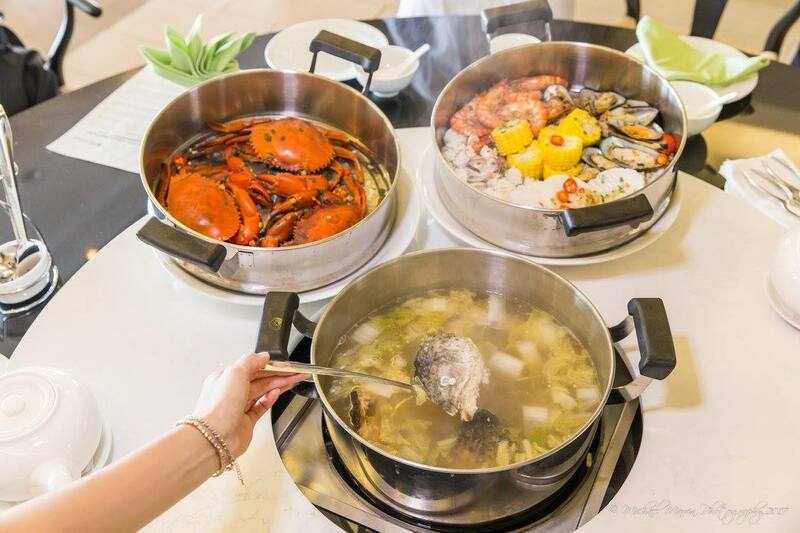 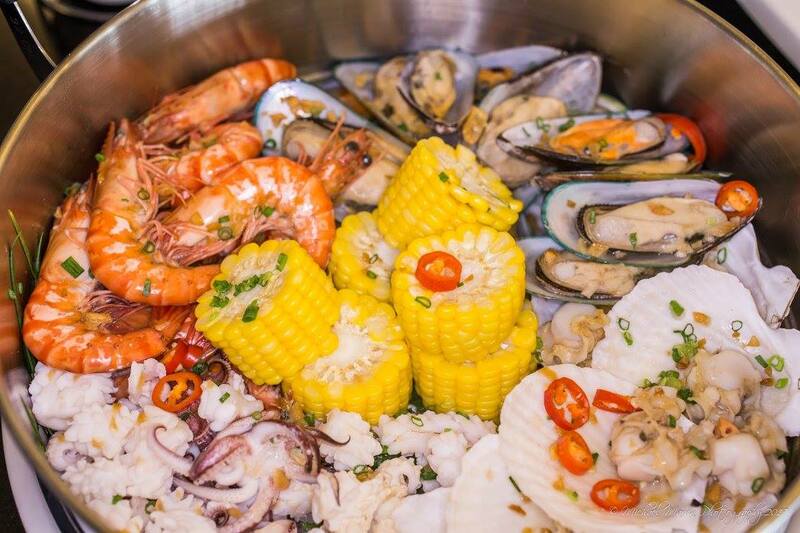 Resort Seafood Steamboat offers three different steamboat packages, with each package offering a hand-picked assemblage of ingredients which can be cooked at their tables. A special feature of the Resort Seafood Steamboat were the Spice Stations. 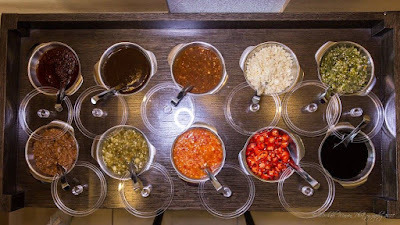 There are main ones located outside in the restaurant and special carts inside each private room where you can find all sort of spices to fit each individual liking. So, flavour to your own taste! 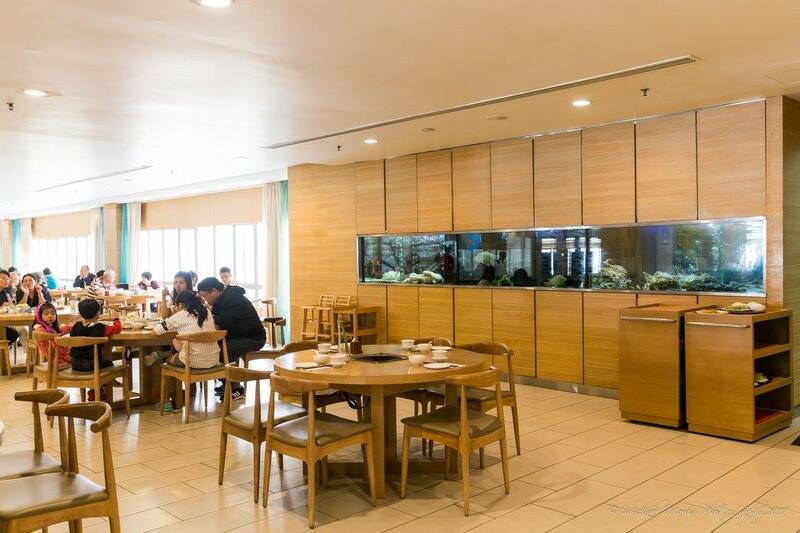 For those looking for privacy, private rooms are also available which in a pinch, can accommodate bigger groups. 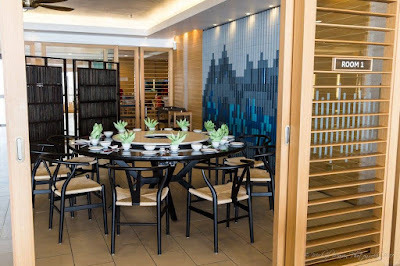 They have four private rooms; the first two private rooms comes with two dining tables and is ideal for larger groups or families of up to 20 persons. 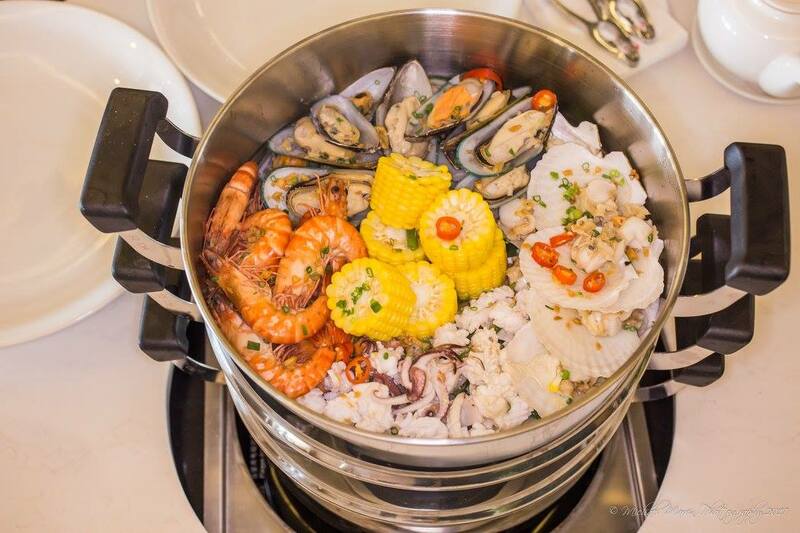 Now these rooms are special, in that they come with a pre-assembled Seafood Sauna Layer Pot Set. 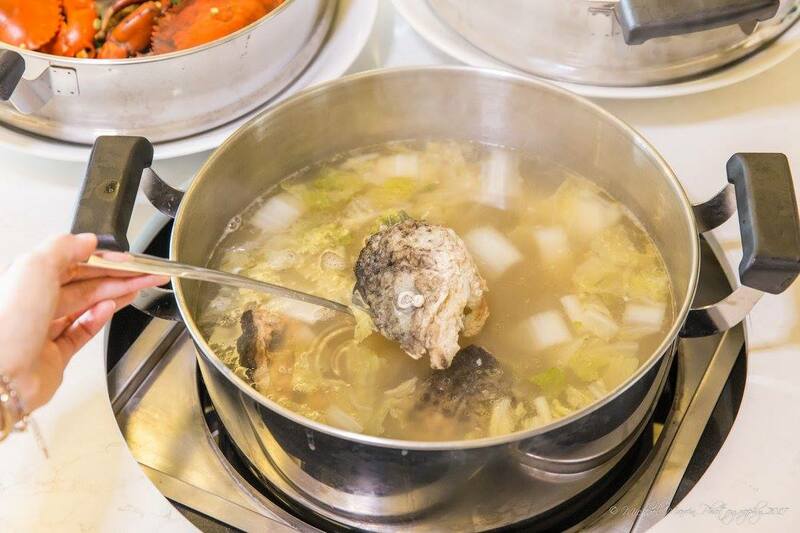 This comprises of three pots stacked up on each other like a mini-tower where the good things inside are cooked and kept warm by steaming. 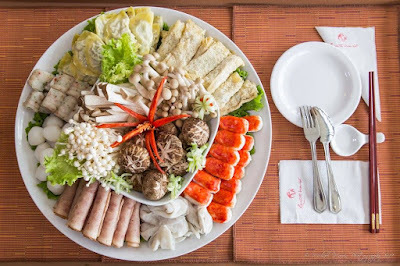 The Seafood Sauna Layer Pot Set serves a group of eight to ten persons, and features Mud Crabs, Squid, Salmon Fish Head, Grouper Slices, Script Venus Clams, Scallops in Half-shells, Sea Cucumber, Grass Prawns, Green Mussels, Chinese Cabbage, Enokitake Mushrooms, Shiitake Mushroom, Sweet Corn, and King's Noodles. The Third and Fourth private rooms offers individual Steamboats, and seats 15 to 20 persons comfortably. There are two set menus for the Steamboat ranging from RM1,100 to RM1,650 respectively. The first menu starts with Chicken Soup for stock, and this is accompanied with Grouper Fish slices, Lamb, Beef Striploin, Grass Prawns, Crispy Smoked Duck, Chicken Drumstick, Sea Cucumber, Scallops in Half-shells, Green Mussels, Shiitake Mushrooms, Wintermelon, Chinese Cabbage, Glass Noodles and Yam slices. 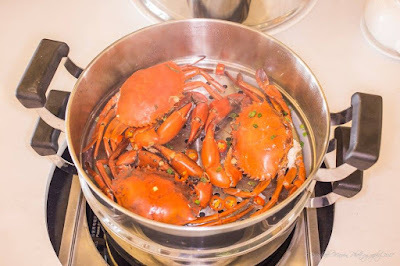 The second menu is similiar to the first menu, but with an addition of Boston lobster. 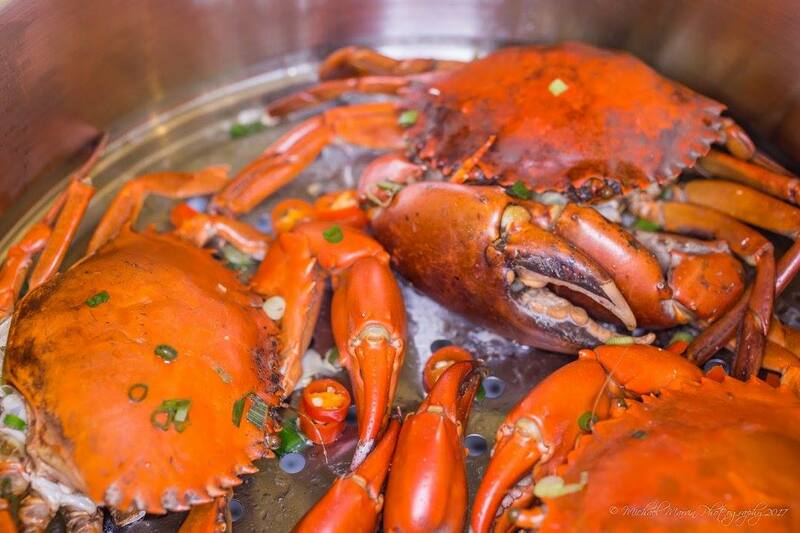 Again, each Steamboats serves 8 to 10 persons, so plan accordingly. The great thing about eating Chinese Steamboat is that everything is fresh and hot! For those who have not dined on this before, the trick is to learn to savour the stock. 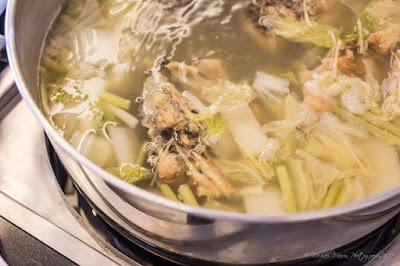 As more and more ingredients are added into the simmering broth, the soup stock takes on a different character with each serving, with some parts being savory if you add more meats and fish, and others being a bit sweet if you add fresh corn. So the next time you go for Steamboat, try it. 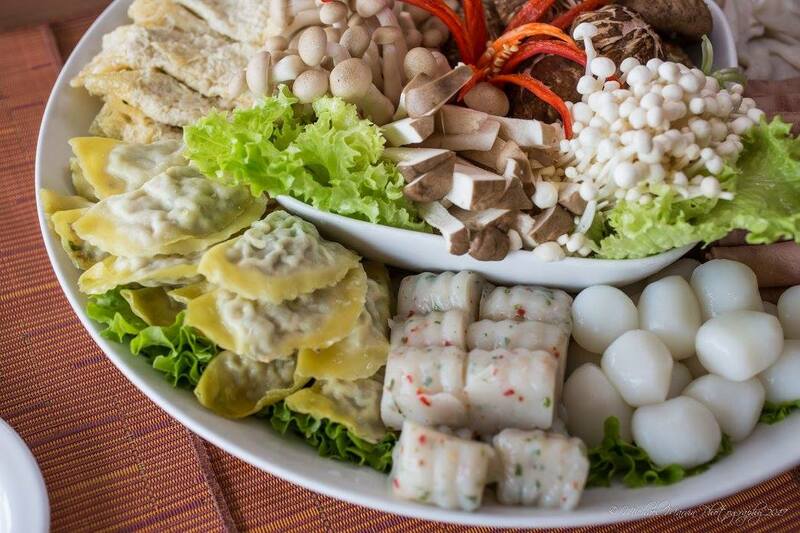 But that is not all! 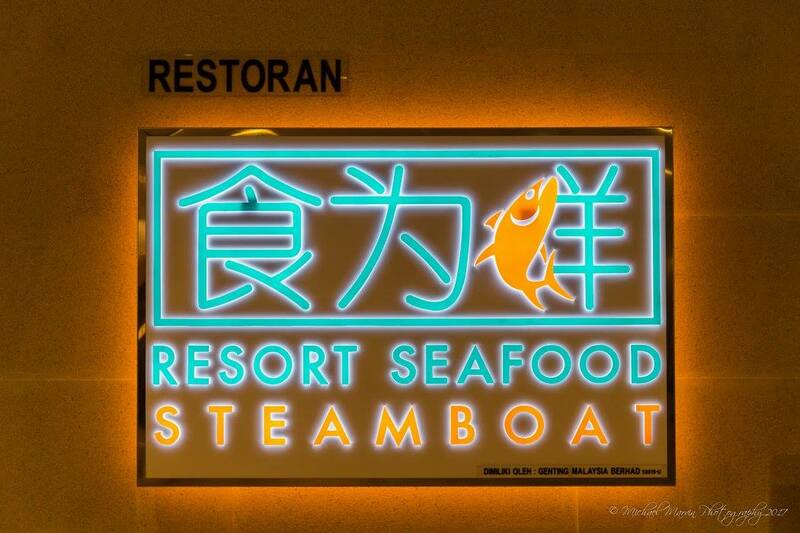 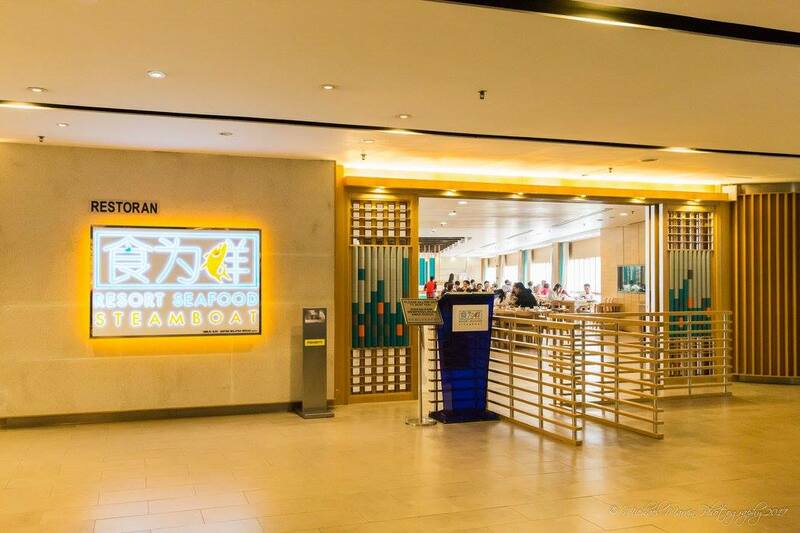 Resort Seafood Steamboat also offers a Chinese Set Menu, meant for those seeking to dine on regular chinese cuisine. 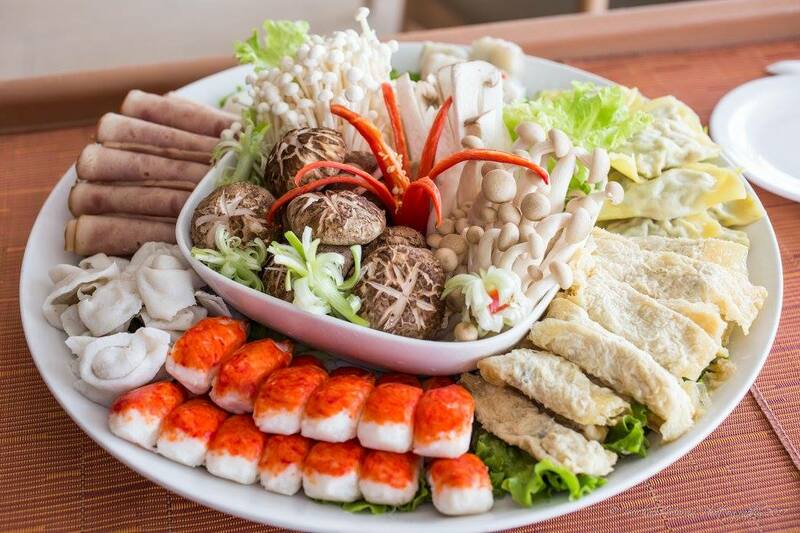 Two Eight-course set menus are available with a recommended serving size for 8 to 10 persons. 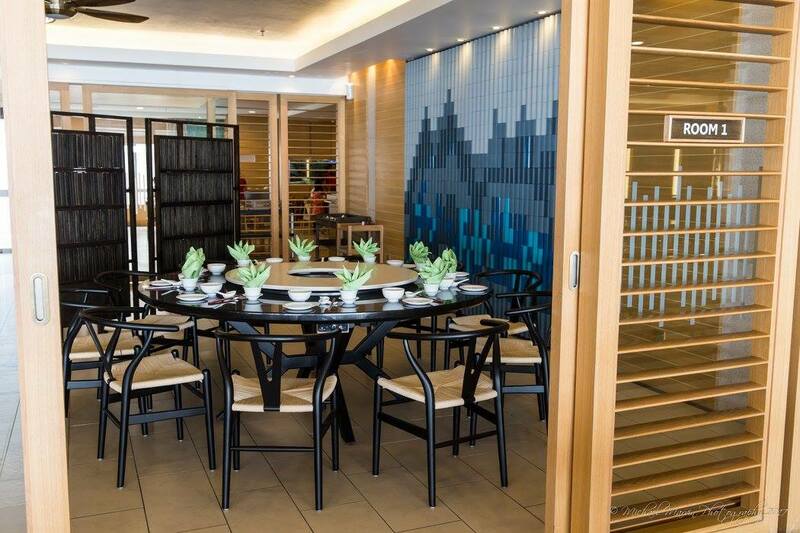 It requires an advance booking of three days however, so do call and make reservations if you wish to take advantage of this opportunity. 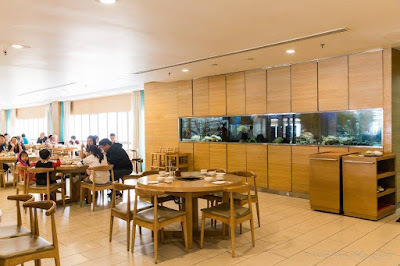 Chinese Set Menu A offers Seafood Porridge, Steamed Patin, Poached Prawns in Chinese Wine, Steamed Chicken with Chinese herbs, Chilli Crab with Mantou Rolls, Cheng Miew with Mushrooms, Boston Lobster Sang Mee and finally, a Mixed Fruit Platter. 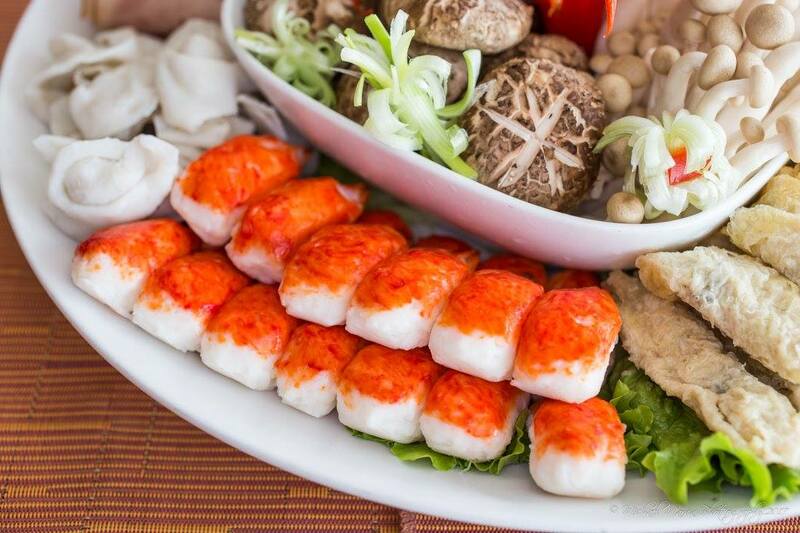 Chinese Set Menu B offers Boston Lobster with Superior Soup, Tiger Grouper Steamed Hong Kong style, Crispy Smoked Duck, Stewed Abalone with Sea Cucumber and Mushrooms, Grass Prawn Soup with Chinese Cabbage, Steamed Scallops with Garlic, Seafood Fried Rice and a Mixed Fruit Platter. 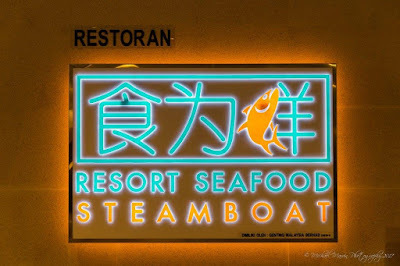 To my delight, we had a bonus feature to our dining experience at the Resort Seafood Steamboat, which was the addition of an extra dish, the Ginger Fried Rice. Fragrant white rice is fried together with freshly chopped ginger which imparts a sharp spicy taste along with other condiments. 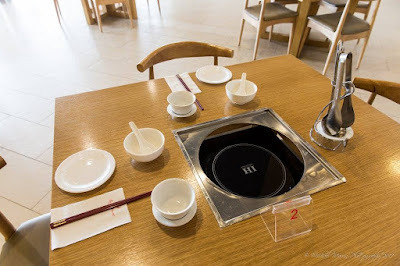 This fried rice is then served in small porcelain bowls, where the secret is to ladle out the seafood broth from the Steamboat and mix it together to make a kind of fried rice porridge. 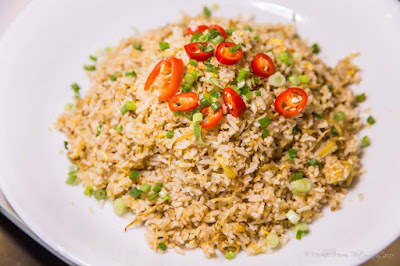 The texture and spiciness of the fried rice coupled with the savory soup made for a very good combination, and was a delight to the palate. Do not be surprised if you find yourself with the ability to eat more, as the spicy ginger whets your appetite to go further into the matter.